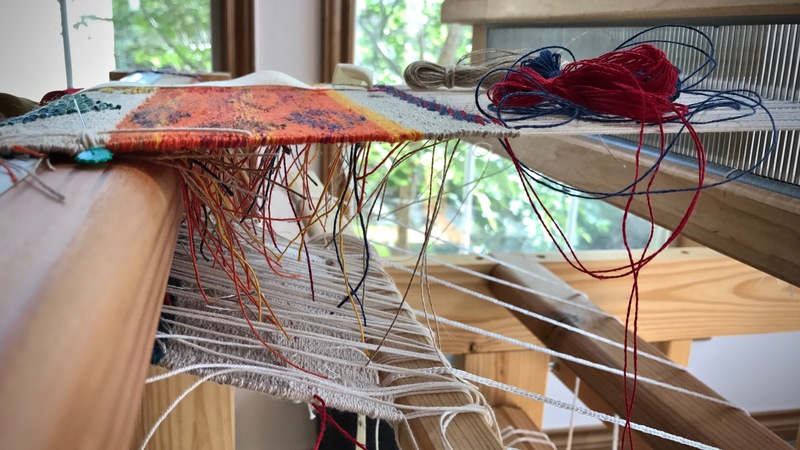 It is satisfying to see this ambitious project take shape on the loom! 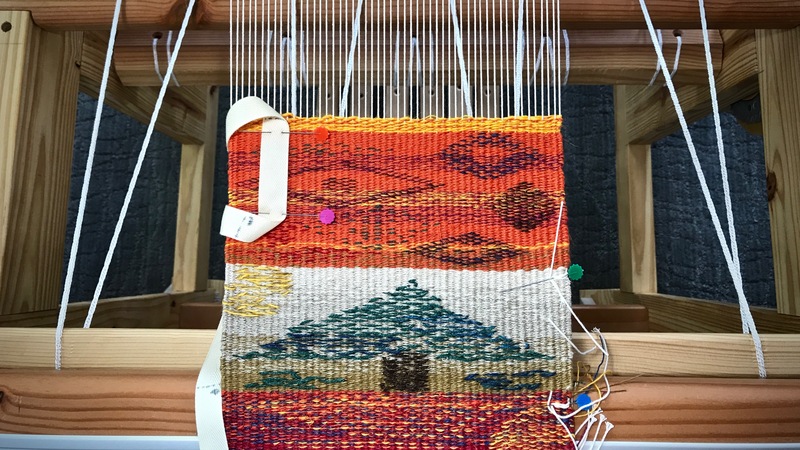 When finished, this sampler of tapestry and inlay techniques will be a handy reference as well as a colorful hanging for the wall. 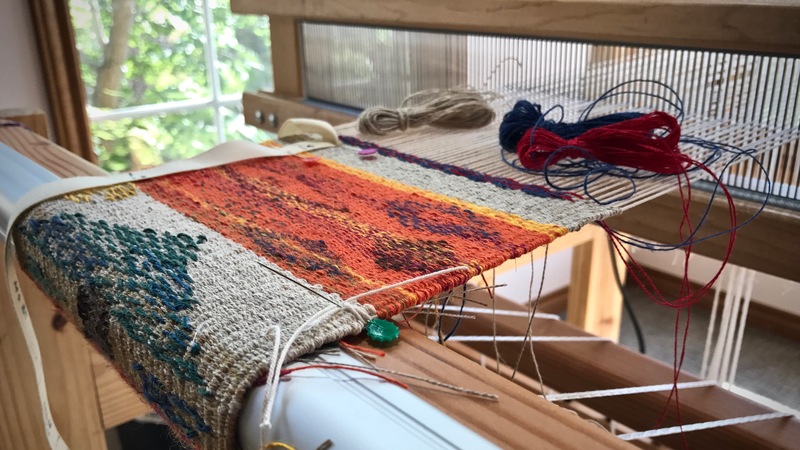 It’s a much-anticipated project from The Big Book of Weaving, by Laila Lundell! Linen butterflies are used for the twill inlay. Turns are made below the warp. I don’t always understand the instructions, in which case I struggle, doing the best I can. But the more I progress, the more I understand. I am finding out what works. The text, Swedish translated to English, about unfamiliar techniques is helpful, but I often wish I had the author looking over my shoulder to guide me. Loom with a view. Time flies, even with slow weaving, at this Texas hill country loom. Weaving from the front. Weft tails are taken to the back of the weaving. Where do we get instructions for living? We may consider entering the kingdom of God for that. But Jesus also spoke of the kingdom of God entering us. Invite the King in. That’s when His ways become our ways. Instead of struggling through instructions, we find ourselves learning His will by doing what we know to do. Life is a sampler, with occasions to learn, to struggle, and to soar. 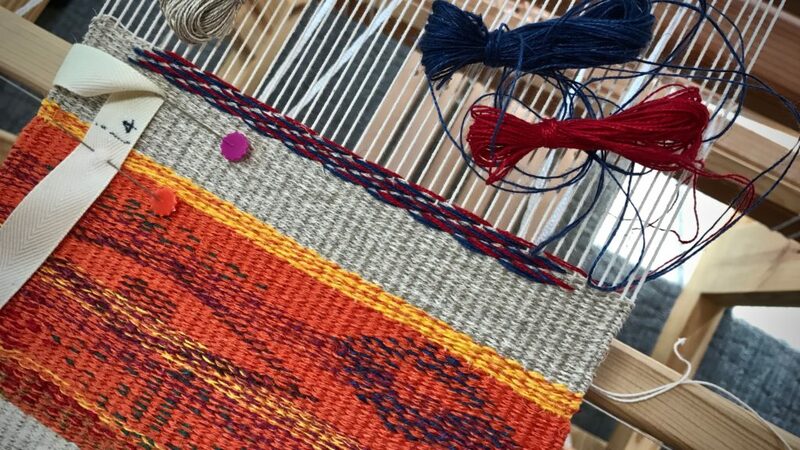 Let’s weave our living sampler in the shadow of the Grand Weaver, Himself. May your sampler show what you’ve learned.